ODT Global is proud to represent Equipment Technology, Inc. in a sales capacity. 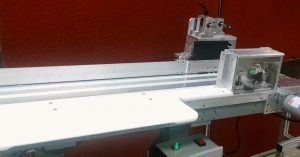 Equipment Technology, Inc. (ETI) is a second-generation family business that designs and builds automated machinery to assist manufacturers in improving their production lines and processes. 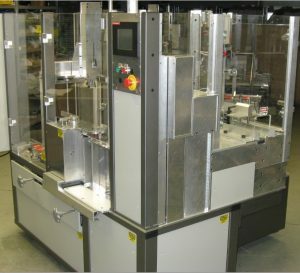 These automated machines convey, stack, feed and/or pack a product along an assembly line with greater efficiency, speed and accuracy. What operational challenges are you facing in your facility? To keep your competitive edge, do you need greater line efficiency? Less waste? How about better cost control? Automation is the answer. 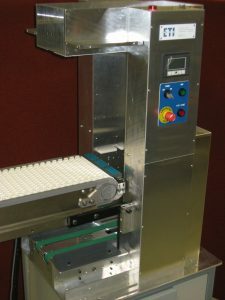 Automated machinery can enable you to manufacture or package a product with perfectly programmed timing and consistency. Whether you are feeding cartons for processing or case packing at the end of a line, you can rely on that equipment to keep production levels high and costs low. Our innovative and detailed approach to this type of machine design has led to the development of impressive systems throughout our 40 years, many of which have been patented and used by well-known names in the packaging, electronics and printing industries. 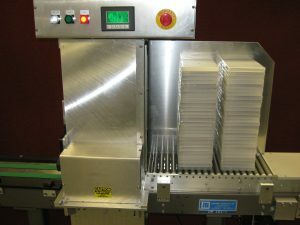 We also work with pharmaceutical, plastic, candy, media, and building product manufacturers. Our machine engineers use the latest 2D and 3D CAD design and detailing software to create and build complete systems or individual components from our design or yours. Contact ODT Global, LLC for your ETI equipment solution today!